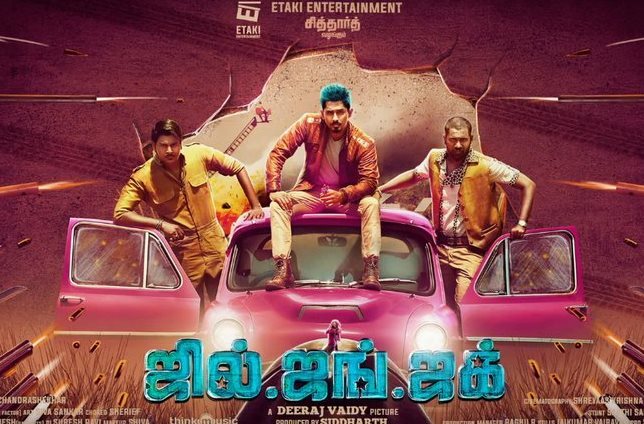 As the smashing teaser and peppy single track of Siddharth's upcoming film Jil Jung Juk has created ripples on social media, here's an interesting update. The film, which revolves around the three characters (Jil Jung and Juk) and helmed by newcomer Deeraj Vaidy, will hit the big-screens on December 25th. Produced under Siddarth's home banner Etaki Entertainment, the film has Siddharth, Sanath, Avinash and Radha Ravi in the lead. Music is scored by Vishal Chandrashekhar. Going by the phrase in the teaser, lets wait for the film to 'explode in December' for this Christmas. Till then let's soak in 'Shoot the Kuruvi' fever!